/ Modified aug 22, 2018 9:09 a.m. 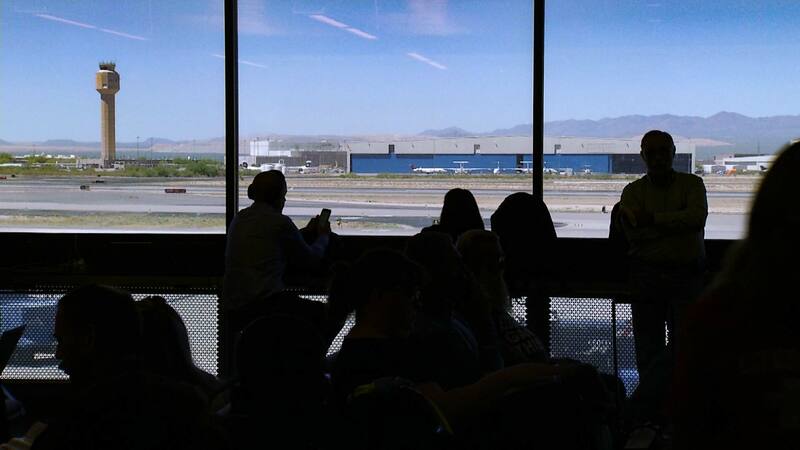 Looking out at the tower at the Tucson International Airport. Tucson International Airport announced today that Allegiant Airlines will begin flights to and from Tucson in mid-November. The low-cost airline will serve two destinations previously not connected to Tucson, Bellingham, Washington and Provo, Utah. Allegiant's Managing Director of Planning said the decision to add Tucson came after looking at passenger data from a nearby airport that the airline serves, Mesa-Gateway. "We've seen that a lot of our [Mesa-Gateway] passengers are actually checking in from closer to Tucson, so we thought it would be a natural option," said Kristen Schilling-Gonzalez. Schilling-Gonzalez said routes from Mesa to Provo and Bellingham have proven popular with people in Tucson. She also said those who take those flights and head south tend to be visitors coming to Tucson rather than Tucsonans heading out on vacation. This is the second announcement of an airline adding service in Tucson. Frontier Airlines announced a return to Tucson August 7. The person at the top of the group that runs the airport said she thinks the airport's ability to draw in new airlines and flights is attributable to the area's growing economy. "The job growth, the companies who are coming, adding jobs and expanding. That's what airlines look at," said Tucson Airport Authority President Bonnie Allin. Allegiant's new service to and from Bellingham will start November 15, with one non-stop flight on Thursdays and Sundays. Service to Provo will being November 16, with one non-stop daily flight on Fridays and Mondays. MORE: Arizona, Business, Pima County, Economy, News, Tourism, Transportation, Travel, Tucson, U.S.